Casino Splendido is the sister site of Roxy Palace Casino operated by the same company. It was launched in 2005, three years after its big brother. Building on the success of Roxy Palace, once again Casino Splendido is about quality service and smooth operation. The main difference is in the deposit bonuses offered. Casino Splendido has a solid one time bonus as opposed to Roxy’s six step welcome package. 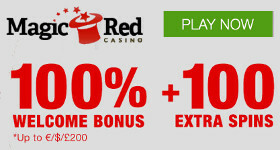 FInd out more details on Casino Splendido bonuses here. Wagering requirements are relatively good with 30 times rollover of the bonus. Just like with many online casinos, the loyalty points collected while playing can be exchanged directly to cash in the Players Club.